Review: Leipzig producer Lootbeg has been spotted in the past flaunting his cosmic, melodically enchanting emo-techno on labels like Crow Castle Cuts and Tieffrequent. 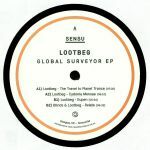 Now he comes to the burgeoning Sensu label with some of his most powerful productions to date, leading in with the euphoric, sky-scraping "The Travel To Planet Trance". "Cydonia Mensae" follows close behind with some equally lofty tones that position Lootbeg squarely in the stratosphere, while "Eupen" changes tact for a more introverted but no less harmonically rich composition that pushes the rhythm section to the foreground. 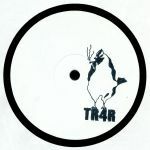 A collaboration with Blinds, "Relate" edges closer to a deep house outlook with its warm lead lines and dusty jacking beats.